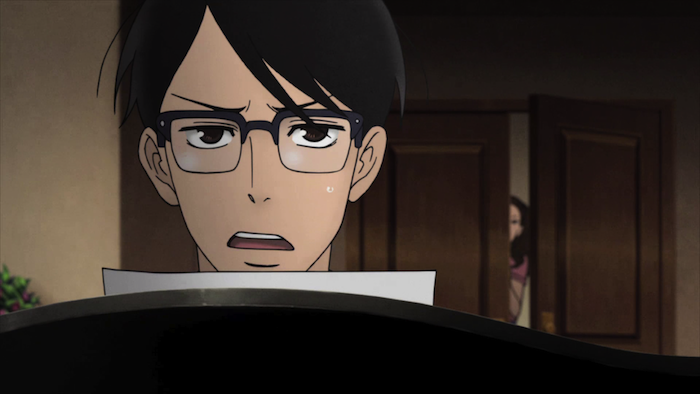 So I watched the final episode of Sakamichi no Apollon a while ago but forgot to follow up with a series review. 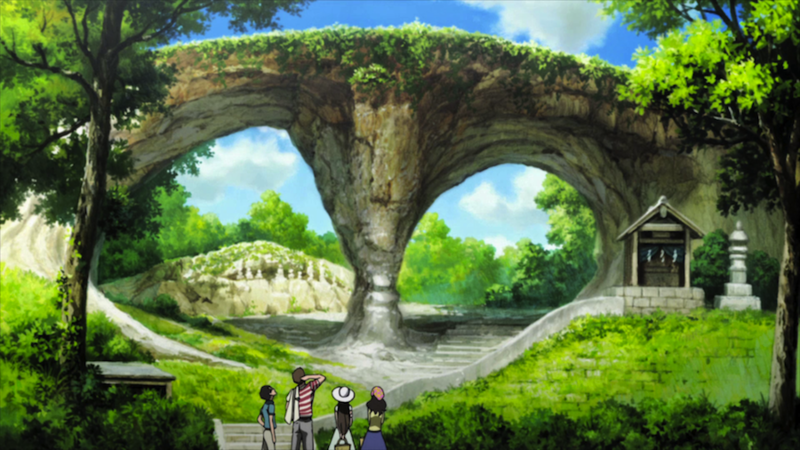 The series seems to me like one that is stuck in slice of life mode when it wishes it wasn’t. 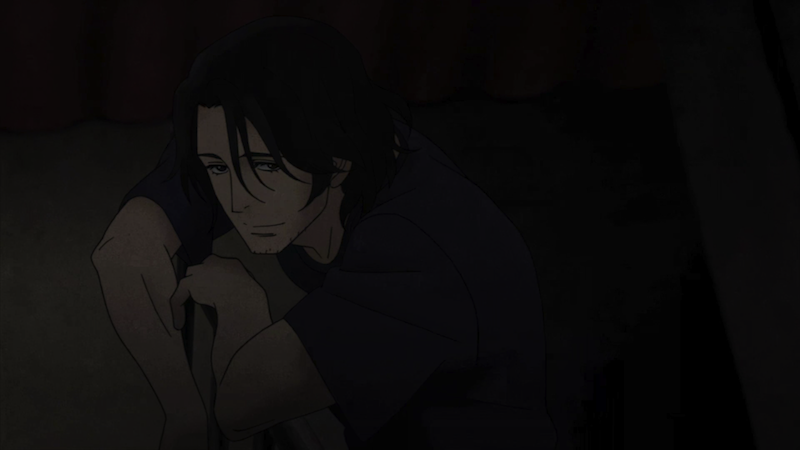 What I mean by that is there isn’t really anywhere interesting for the show to go once the characters have gone through their angst and realizations and stuff. 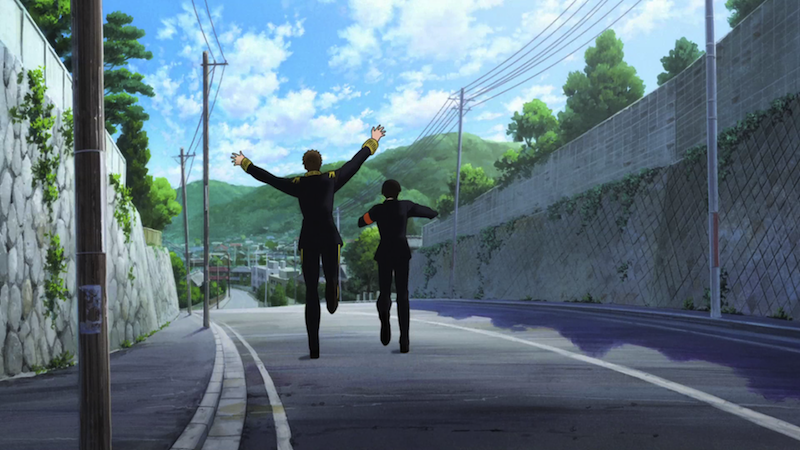 Sentarou sort of overreacts to his stepdad coming back, so he runs away forever. 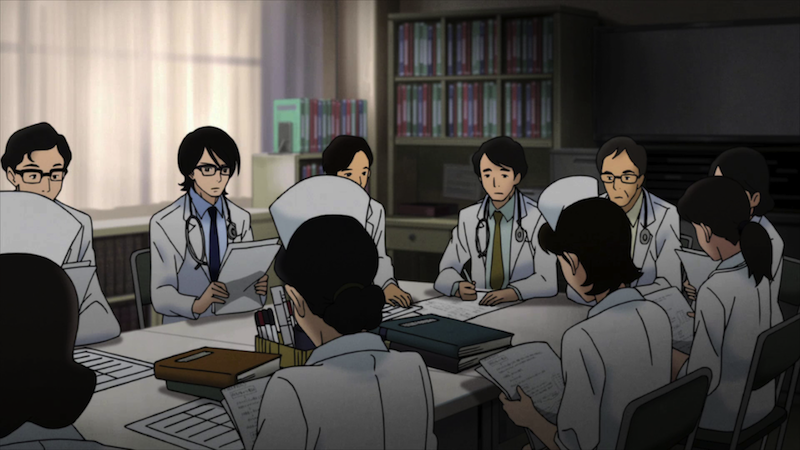 Kaoru also runs away from the small town and Ritsuko to become a doctor (default Asian occupation). Ritsuko cuts her hair. Those are all pretty much the most extreme things they can do because they don’t have superpowers or mecha (aside from the power of Jazz, but we all know that disco is coming). I thought the series was done well, with sort of a rushed ending and epilogue. I wonder what the takeaway from the whole thing is, though. Is it that it doesn’t really matter who your friends are in high school, because you won’t see them again for 8 years after you run away? Or is it that friendships do matter and after 8 years you can get into a really awesome three way? I guess that interpretation is left to the viewer. 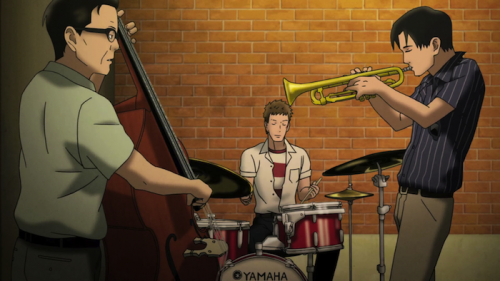 I did like the jazz parts of the show the most, and if there wasn’t that hook I may have not continued watching it to the end. 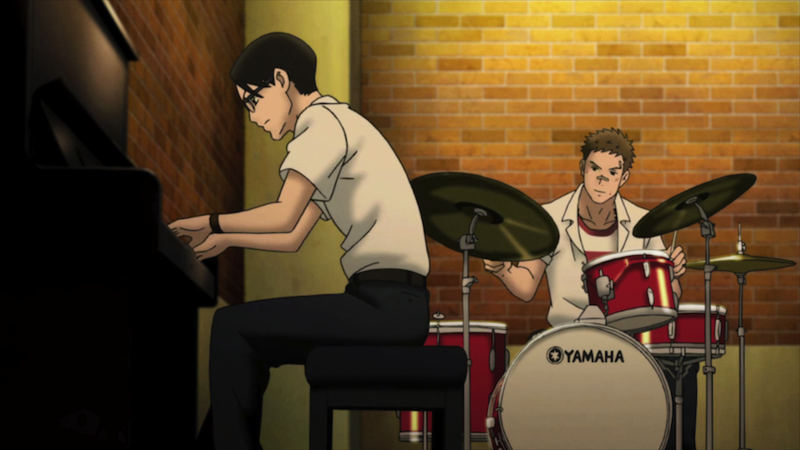 Overall, it was a fairly average teen high school love triangle romance that was improved to a B+ for having some sick jazz in it. 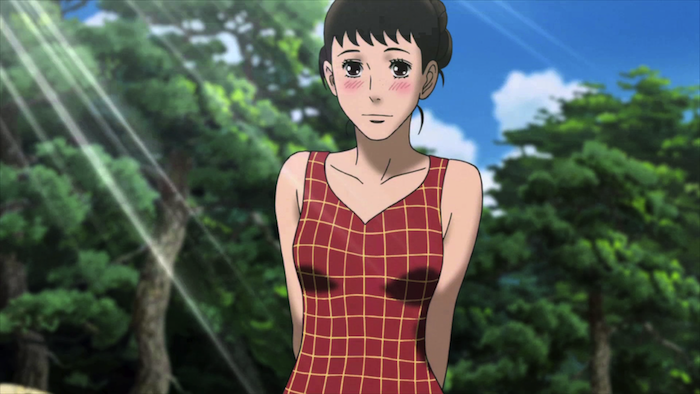 Sakamichi no Apollon continues with a double date featuring new hotness Yurika. Unfortunately, the couples do not match up neatly, and we are faced with a love square. Ritsuko likes Sentarou, but Sentarou likes Yurika, and Kaoru likes Ritsuko. It’s not clear if Yurika likes anyone at this point. 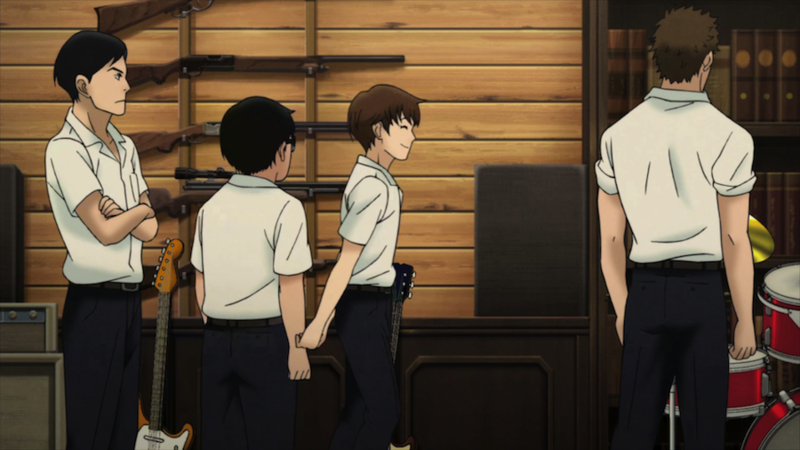 The boys get in an argument because Sentarou is hurting Ritsuko by being flirty with the new girl. This sorta backfires on Kaoru since Ritsuko thinks he’s jealous. But in a surprising move, Kaoru confesses his like for Ritsuko, so it’s up to her to accept or reject him. In other news, the two dudes have a jam session on “But Not For Me,” which is quite appropriate for their current situation. Kaoru confesses to Ritsuko with “Someday My Prince Will Come,” but apparently didn’t do a good enough job (next time, seal the deal with “My Funny Valentine“)! I’m digging the quick plot progression of this series so far. Hopefully they will keep the jazz flowing and the drama going.